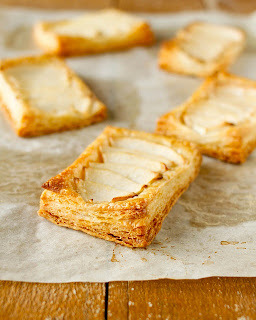 How many times have you turned to pastry to set your mood right? How many times, while watching Masterchef Australia, have you wanted to enter the TV and grab that choux or strudel pastry from George or Gary and gorge on it? How many times have you shouted out loud and let the world know that pastry is your only true best friend? No, you haven’t done that? Umm…Well, I haven’t either! Hmm…Who would do that? HA! The thing with pastry, a name given to baked products, is that it is so simple in terms of the ingredients used and yet it can be (and is) moulded into some many varieties of deliciousness. 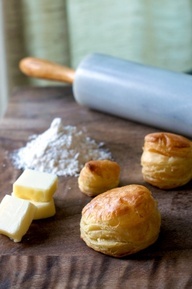 Be it shortcrust, or phyllo, or puff, a well baked pastry will always bring a smile on your face when you first bite into its light, flaky texture. But for some, the love for all things floury and buttery does not begin at eating. A pastry has to be baked, the exacting process has to be laboured through, the aroma of the freshly baked has to fill the senses and only then can eating one’s labour of love can be a holistically joyous experience. If the thought of baking excites you as much as it scares you, then you have me for company. While it appears to be a romantic and oh-so-fantastique affair, baking is a tricky science that requires technique and skill. This truth I learned from my one too many baking disasters in the kitchen; so much so, that my otherwise supportive and calm mum demanded that I stop my culinary experiments asap! So that you don’t have to endure the misfortunes that I did, here are some pastry baking basics to help you sail through smoothly. Along with these general tips, make sure you treat the recipe like your baking bible. Follow the measurements to the T and stick to the sequence. If you work with robotic precision coupled with human exuberance you are to be the boss of pastry baking in no time! Prada consistently possesses a specific gallery which means such trainers are actually consistently through big replica chanel 1113, incorporate further benefits to all your your life such labeled Prada trainers are actually on sale. Such trainers definitely will in fact move up a type survey including your dior replica. Type happens to be varying because of recent several years; presently type seems to have been through some modern modification. Clothing families need completely different personal taste not to mention that allows you to swimsuit typically the form of the singular someone replica dior bags are with the help of smart concepts not to mention clean take a look. Through this big type environment it happens to be replica burberry bags a brand of big type. Prada trainers are with the help of amazing privacy, ruggedness not to mention practicality. As out of your the ancient instance we're able to see a lot of women would always painted ornaments created terracotta, in order to make these products take a look delightful. Which means we're able to assert who fendi replica are consistently modern as they are consistently needing to get theirselves take a look delightful. The actual intention right behind this really towards captivate individuals and / or attract these products.